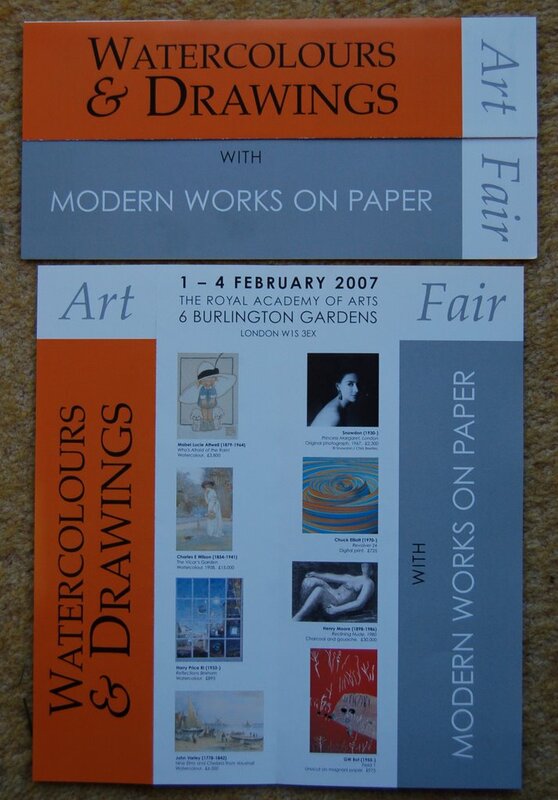 Artists’ Books at prestigious Art Fair in London. is the title given to an exciting new addition to the Watercolour and Drawings Fair at the Royal Academy of Arts, 6 Burlington Gardens on 1 – 4 February. It is part of the Modern Works on Paper section which fills the ground floor with prints, photographs and posters. However, one room will be filled with BOOKS which are true marriages of text and image – some created entirely by a single artist and some which are close collaborations between an artist and a designer/printer. This will be a rare opportunity to see and handle the work of about a dozen presses, each sought after by libraries and collectors worldwide. Such books preserve the craft of printing directly from an artist’s work. They use fine materials and are accorded the time and care which is often lost in large scale printing processes. Such books, filled with original prints, will present entirely new experiences for many collectors and readers to discover. The presses are: Susan Allix, Altazimuth, Enitharmon, Gwasg Gregynog, Inky Parrot, Old School, Old Stile, Parvenu, p’s & q’s, Tern and Whittington. Nearly all of these have a website to explore with details of their books and the press. Many thanks for the R.A. invitation – I’ll look forward to seeing you there. Interesting that the private presses have been separately categorised. What does this say about the art market? Could the dealers be nervous about the relatively low prices which artists books rich with images are sold at, compared to the price of individual prints…? Anyway, its good news that there will be a room devoted to books! I didn’t realise there would be a livre d’artiste section or that you would be there, so I’ll definitely turn up. And thanks, as no doubt you were responsible for sending me the invite.